Heather Sellers, author of You Don’t Look Like Anyone I Know, does not have a visual impairment. Nor is she mentally ill, socially anxious, or just plain forgetful. Sellers is face blind, a prosopagnosic. She cannot reliably recognize people’s faces. Face blindness affects approximately 2 percent of the population, but is so frequently misunderstood that it is often best defined by what it is not. In fact, for decades, Sellers did not recognize the condition in herself, even as she mistook strangers for her ex-husband Dave or lost her stepsons in a crowd. You Don’t Look Like Anyone I Know is the tale of an unorthodox kind of self-discovery—a narrative about self-knowledge hewn out of a history of confusion. The daughter of an undiagnosed paranoid schizophrenic mother and a secretive, cross-dressing, alcoholic father, Sellers already had the ingredients for a confusing childhood. But add undiagnosed face blindness to the mix, and Sellers’ ability to make sense of her life is more than remarkable. With levity and grace, she weaves the unusual circumstances of her childhood with incidents in her life caused by an equally unusual neurological condition. Sellers talked to SMITH from Holland, Michigan, where she teaches writing and literature at Hope College. 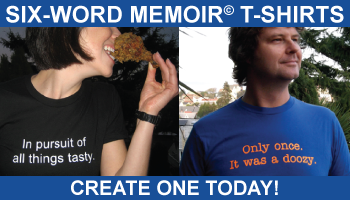 Was there a moment when you thought to yourself, I absolutely have to write this memoir? In a way, I’ve been working on this book my whole life. But yes, when I came across those two words, “face recognition,” completely by chance I knew in that moment, absolutely I would be writing a book about the disorder. Absolutely bells ringing, lights flashing. I was arrested by the topic. I set out to tell the story of how I came to see clearly. I came to terms with a really difficult neurological disorder, prosopagnosia. And, simultaneously I came to terms with a super-complicated childhood. But what I really ended up with in this book surprised me—it turned out to be a love story. In even the most flawed families, love sneaks in. How amazing is that? Did you have an ideal audience in mind while writing this book? An ideal audience? Maybe readers who love story. (And yet I do love it when someone writes me and says they appreciate my sentences and my love for words and humor.) When I write, I try to think hard about what the reader needs and match that up against what I need. That struggle, that tension, is part of what gives way to the thrum. In the process of writing this memoir, were there books that you found particularly influential or useful? Oh gosh, every book is useful; everything is useful. I read greedily, like most writers. My favorites? The poets. The virtuosos. Philip Roth. Abigail Thomas. Anatole Broyard, Zeitoun, Michel de Montaigne, Jane Austen. And a whole new field opened up for me; I had to study a lot of neuropsychology—after getting familiar with basic brain science— to write this book. I love Antonio Damasio and Stephen Pinker, and, of course, Oliver Sacks. I spend a lot of time with visual art, specifically painting, too. What is your writing process like? Do you have daily rituals? I write every day and I do have rituals—I’ve written about this extensively in Page after Page and Chapter after Chapter. I believe a writer has to find her own rituals, the ones that are most conducive to her getting into the trance state and staying there. We are so different and what helps us create a viable daily writing practice varies widely. I have no email or Internet or cable at home. I have a rotary dial phone! A record player. I write by hand. When I am stuck I read to get back in. I believe in the power of functional fixedness, that notion that the same tools, same actions, same time of day, etc., helps jump you into the creative space. I believe in daily practice. I have learned a lot about all this from hanging around athletes. You spend a lot of time writing about what prosopagnosia is not. What is it like having a condition that is so often misunderstood? It’s been an amazing opportunity in so many ways. As you suggest, people don’t get it. People don’t get it quickly. It is a really hard disorder to understand. Ironically, that’s exactly what face blindness is like, too! I don’t know who people are quickly or easily—what you can do automatically is really, really hard for me to do. What happens when people don’t understand is I get to explain! Not knowing something makes you vulnerable. Sharing something this personal and this intricate really connects me to others. I love these moments, these encounters where we are vulnerable and making these attempts to connect anyway; it’s the coolest thing. You explain that, despite the limitations you have come across as someone with prosopagnosia, you would never want to be “cured” of it. Why is prosopagnosia such an important part of your identity? I now move in the world with this possibility, in telling people I’ll need their help, that creates a potentially very meaningful connection. It’s been such a grace, so transformative to learn to live this way. Growing up with undiagnosed face blindness was horribly painful and it still can be upsetting and is often very annoying. But I love that I have to pay attention—I can’t turn off that attention-paying part of my mind. It’s exhausting, to run that program in my brain that tries to grab everything about a person for possible future reference. But it’s a very, very lucky thing, too. And the whole thing—the childhood, the prosopagnosia—has been very disorienting. I’m not up for a great new change—I like my brain the way it is. It’s where I live. I don’t want to be uprooted. When you worked with the scientists at Harvard, you said you felt, “not cured, but seen.” How did the diagnosis alter your life going forward? The diagnosis changed everything. Finally, I knew how to explain all the bizarre occurrences that had plagued me my whole life. Finally, I knew I’d be able to figure out how to be in the world more fully, to engage creatively with the people around me instead of skulking and acting weird and going through all these machinations. The scientists were incredibly generous and kind and thoughtful. They taught me so much and gave me so much. You found a community of people with prosopagnosia online. How has that community responded to this book? Since it came out, I have heard from many people who are affected with prosopagnosia. And every time I do a reading, one or two or sometimes three people come up and whisper to me, “I have this.” The disorder affects 2 percent of the population to some degree. That’s one in 50! So face blindness is really a very common learning disability with potentially devastating social and psychological consequences. It’s been wonderfully rich to be part of educating a larger community about the nature of the disorder. What I hear from people who have prosopagnosia is perhaps surprising to others—but most prosopagnosics dread telling others. I hope my book serves, in part, as a kind of little map for what it could be like to come out as face blind. It’s very hard to admit you don’t easily recognize people. It’s hard to explain how much work it is. It’s hard for people to understand the disorder and how we compensate with voice, hair, gait, context, etc. What has your ex-husband Dave’s response been to the book? And how have your stepsons responded? Dave has been my biggest supporter. He always supported me in telling my experience. He has been with me every step of the way; he is one of my closest friends. He and his family have been excited for the book’s success and are very kind and generous. They are amazing people and I love them dearly. It was important to me to have the boys’ permission to write the book. I have learned so much from them. I’m working on a series of essays and a new memoir. Finally, Heather Sellers, what is your Six-Word Memoir? I always really want to know. BUY You Don’t Look Like Anyone I Know. WATCH Sellers on ABC’s Good Morning America. LEARN MORE about face blindness. Game like this deserves a lots of thank you.When i start playing this card game i found many features that allows and helps me to win this.